Welcome to Day #2 of Chocolate and Banana Theme Week. 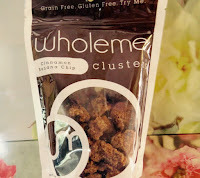 I'm tempted to say that today's grain-free Cinnamon Banana Chip Clusters from WholeMe (Minneapolis, MN) were similar to a granola or cereal, but even the words granola and cereal are associated with grain-based food items. 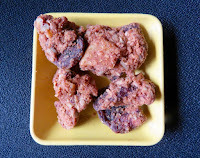 These paleo clusters looked a bit like natural "cookie" pieces and were made with bananas (chips, dried), coconut ("meat" and oil), honey, nuts (pecans, almonds), sunflower seeds, pure maple syrup, cocoa nibs, vanilla extract, cinnamon, salt and maca. 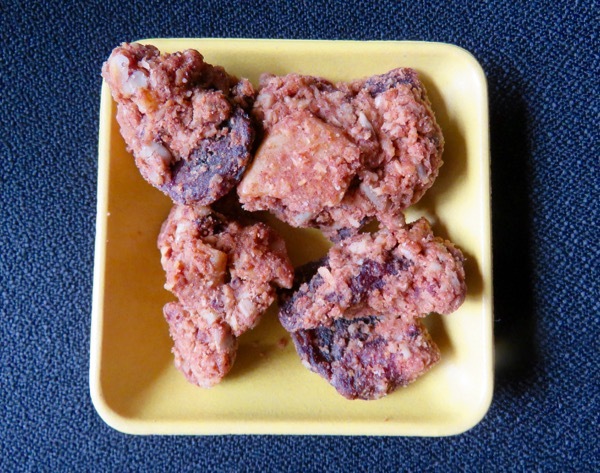 One or two handfuls of this mix could serve as a breakfast, snack, dessert, or meal on the go. 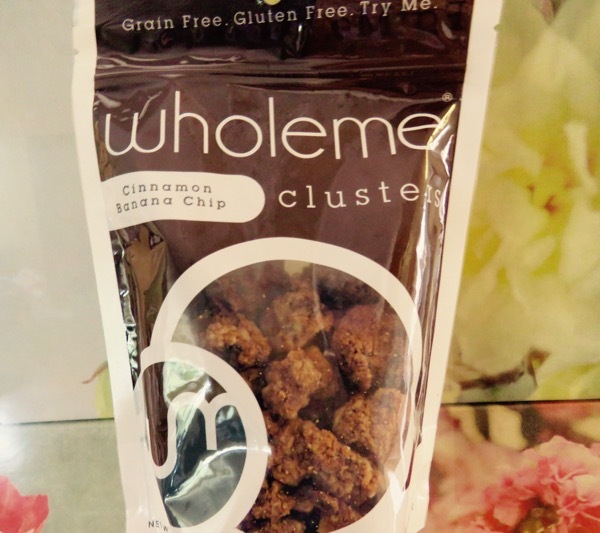 There was no added processed sugar, preservatives, soy or gluten in this Non GMO offering. The chocolate was also in less processed form. The cocoa came from pieces of cocoa beans or nibs. One could add a few more cocoa nibs to this blend if you wanted to add more cocoa flavor and crunchy texture.